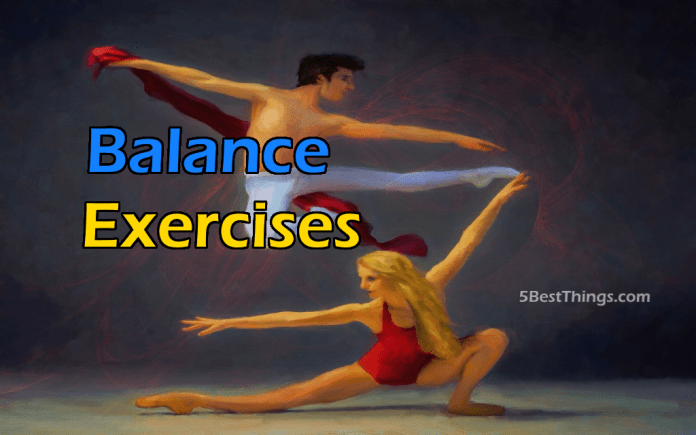 Treatment to improve balance—treatment aimed at practicing just one or a few balance tasks—can never be optimal for every individual. For example, a person who falls due to ankle weakness would not benefit from practicing sitting on a ball with eyes closed, but a person who is not adequately using their remaining vestibular function could find this practice useful to enhance their use of vestibular information. One consideration when looking to improve balance is the structures you are balancing on. Do you have good posture? Are your hips centered over your ankles with your shoulders and ears centered over your hips when you stand? How healthy are the joints and muscles of the feet? One exercise for strengthening feet is to pick up marbles or pencils with your bare feet. Another is drawing the letters of the alphabet in the air with your toes. Imagine if you had a pen attached to your big toe. What would the letters you draw in the air look like? improved sleep quality more than the control group. The experimental group had less depression disorder than the control group. The experimental group had higher serotonin levels than the control group. Imagine walking or jumping or standing up before you do it. This seems to help with balance when the mental activity is done before the physical activity. It is as if by imagining the movement and the ways you might lose your balance, the brain gets a head start on compensating for poor joint mobility or poor sense of balance. Anticipatory [visualization] postural strategies, before voluntary movement, also help maintain stability by compensating for anticipated destabilisation associated with moving a limb. Balance research where the experimental group received balance training for 20 minutes/day with mental imagery for 10 minutes/day, three days/week, for four weeks and the control group received only balance training for 30 minutes found that moving and visualizing is better than just moving. After completion of the 4-week intervention, Berg Balance Scale, Timed Up and Go test, Functional Reach Test, and Four Square Step test scores significantly increased in the experimental group. In the control group, Berg Balance Scale and Functional Reach Test scores significantly improved. Changes in the Timed Up and Go test, Functional Reach Test, and Four Square Step Test scores after intervention were significantly higher in the experimental than in the control group. Specific balance training with additional motor imagery may result in better rehabilitation outcomes of gait and balance ability than balance training alone. One way to improve balance is to improve one or all of key balance systems, including vision, sensation, and inner ear balance (vestibular). When we are walking on uneven surfaces that vary as we are walk, we must shift our balance in order to compensate or we risk falling. According to researchers in a well lit environment, we response to body sensations [somatosensory] 70 percent of the time. We use our eyes to balance and stay upright 10 percent of the time and we use our vestibular or ear related sense of balance 20 percent of the time. Whether we are using body sensations, our eyes or ears depends on the amount of light around us and the kind of surface we are walking on. A Tibetan eye exercise can help with balance as well as vision. For this exercise look up a Tibetan eye chart. Attach it to the wall at eye level. Without moving the head circle the eyes clockwise and counterclockwise then diagonal and up and down through the image. This exercise works the eye muscles and stimulates the nerve to the eyes, improving visual coordination. Without a good sense of balance, mobility of the ankles and legs, as well as good vision and brain health, we risk falling when we walk or move. Fortunately improving any one or more of these areas will improve the quality of our walking and can help us feel better as we exercise or just walk around the block.